Are we really that hard done by when it comes to gasoline? Being British we like to moan about the cost of fuelling up every week, and are constantly sighing and/or tutting at the yo-yo pricing of a litre of fuel whenever we drive past a filling station. With the price of petrol likely to rise to its highest level in more than two years owing to the effects of Tropical Storm Harvey, making it more expensive than diesel for the first time in more than a year, we started to wonder just how the UK compares to the rest of the world when it comes to fuel costs. The average price of gasoline around the world currently stands at £0.80 per litre (as of 11 September 2017)*. As a general rule, richer countries have higher gas prices while poorer countries and the countries that produce and export oil have significantly lower prices, with the differences in price due to a variety of taxes and subsidies. So while all countries have access to the same petroleum prices it is then up to them to impose different taxes… and that’s where the trouble starts. No surprises that some of the most oil rich countries in the world are also the cheapest. That said, Venezuela’s ‘we can’t give this stuff away!’ rock-bottom price both amazed us and filled us with jealousy. With petrol accounting for around 95% of the country's export revenues, the state-owned PDVSA subsidizes all sales of gasoline on a fixed price in their local currency. Well… at least we’re not Norway. Although, with that said, relative incomes are also higher in the country meaning fuel only accounts for around 8% of Norwegians average disposable monthly income. Hong Kong on the other hand proves to be a different story, with drivers frequently reacting with outrage to the price of fuel being dictated by high tax. So where does the UK stand? 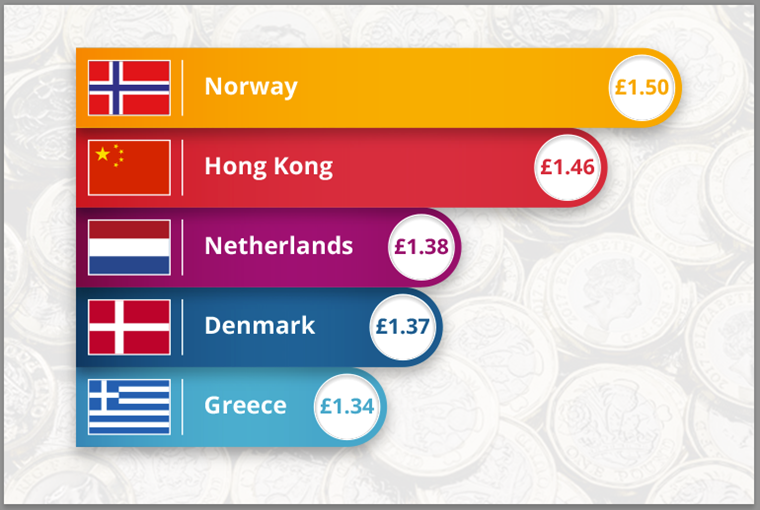 While it’s no surprise to see the UK grace neither the five cheapest or five most expensive countries list, at £1.19 per litre the UK is certainly in the upper echelon for most expensive gasoline cost coming in at 147 out of 167 countries listed and making it 20 places away from Norway as most expensive. Like the examples above, the reason why is down to tax – that brilliant thing Romans spread far and wide across their empire and which continues to blight our lives thousands of years later. Currently around two thirds of the price of fuelling your vehicle goes to the governments coffers in the form of fuel duty and VAT. 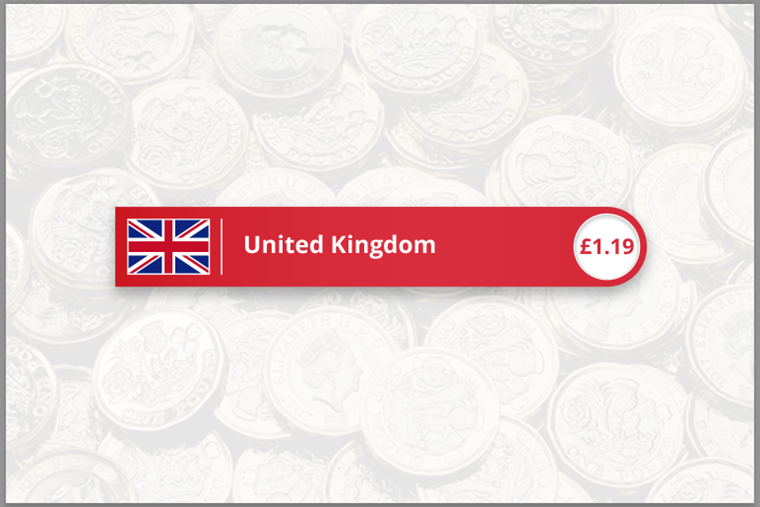 What’s more, historically it has only been the strength of the pound that has kept us lower down the table. 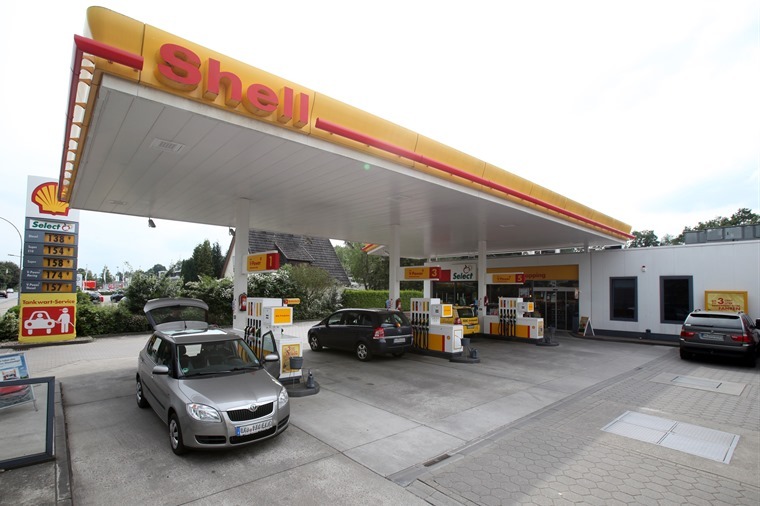 With Brexit just around the corner, there are fears that gasoline prices in the UK could become the highest in Europe due to the depreciation of the currency and the fact the majority of European countries have preferential tax rates. Only time will tell on that count. 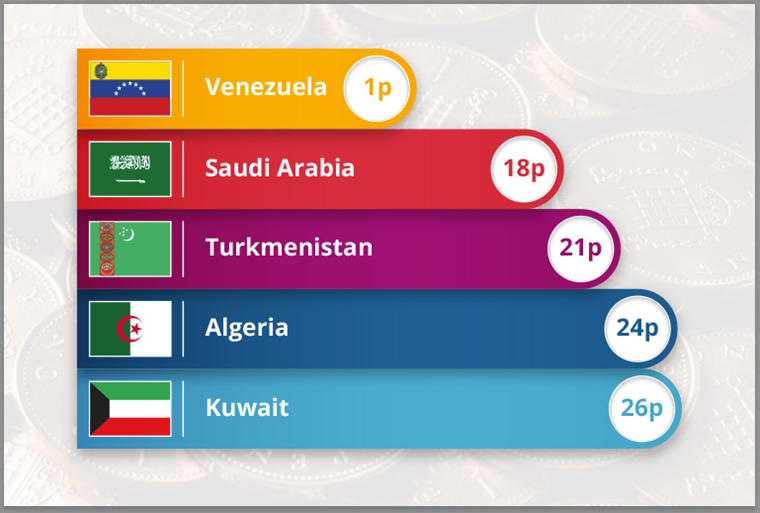 *All figures taken from GlobalPetrolPrices.com and correct at time of writing.